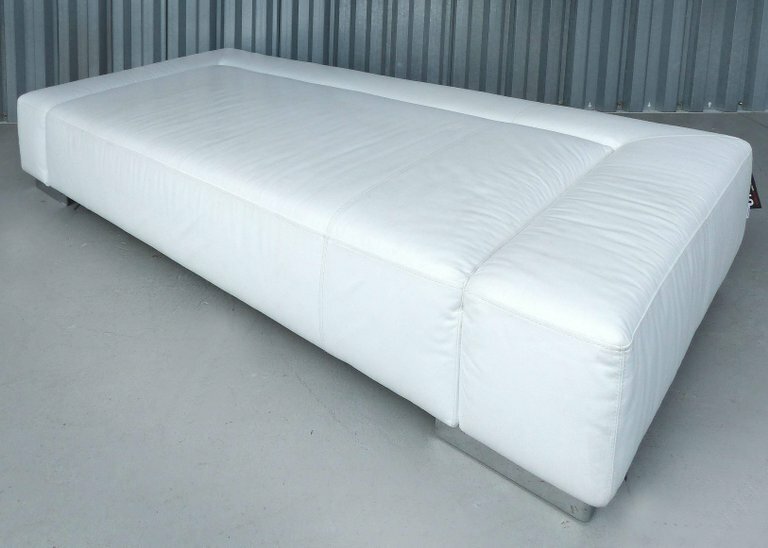 Designed by Kati Meyer-Brühl for Bruehl / Brühl Furniture, the sunrise two-sofa is more of a concept than a design as it comes in different models and options. 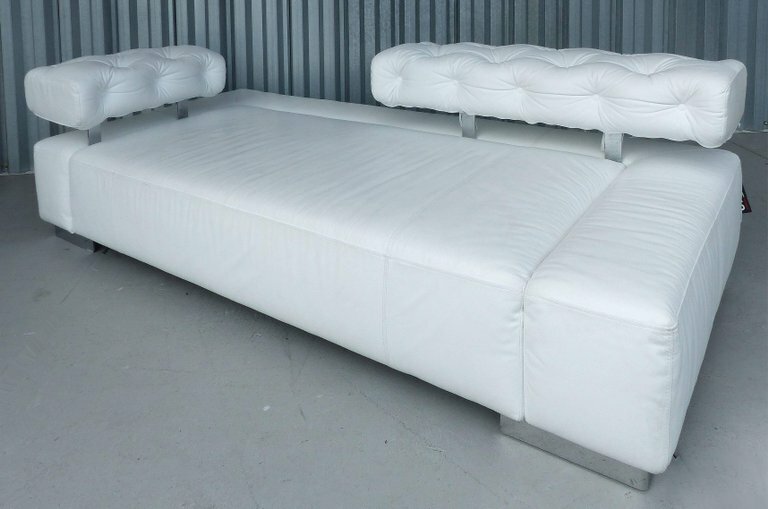 All models of the sofa were designed around the base with several side and back cushions and table options available when originally custom ordered. 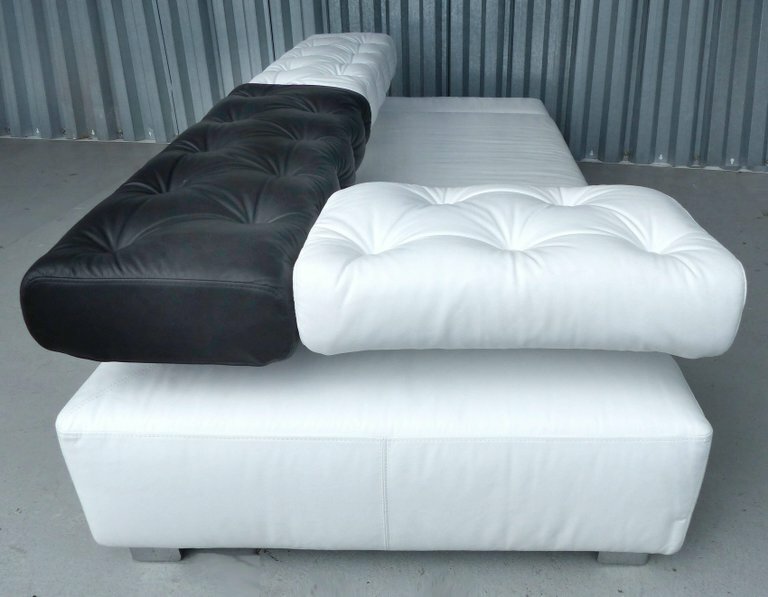 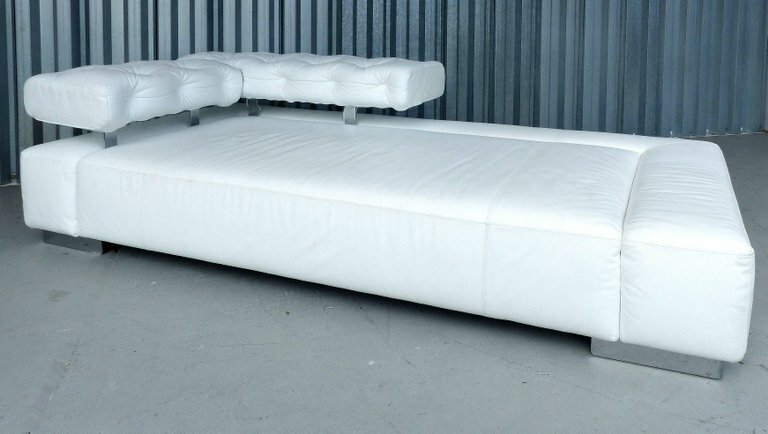 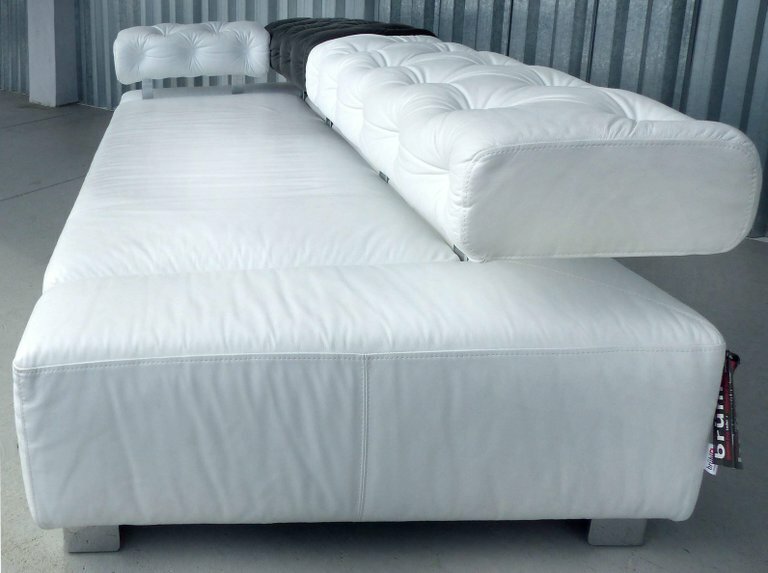 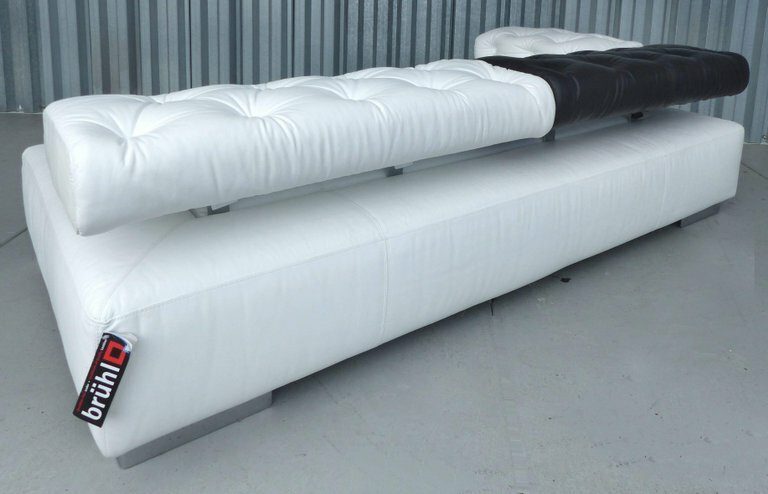 This is a fine quality snow white and black leather sofa that easily transforms into several configurations for different appearances also allowing it to be used as a daybed. 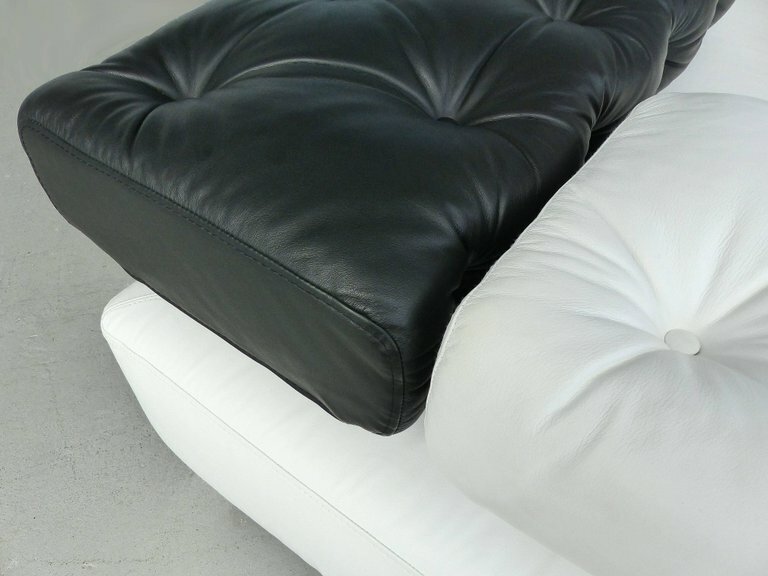 The tufted side and back cushion sections are interchangeable with one another. 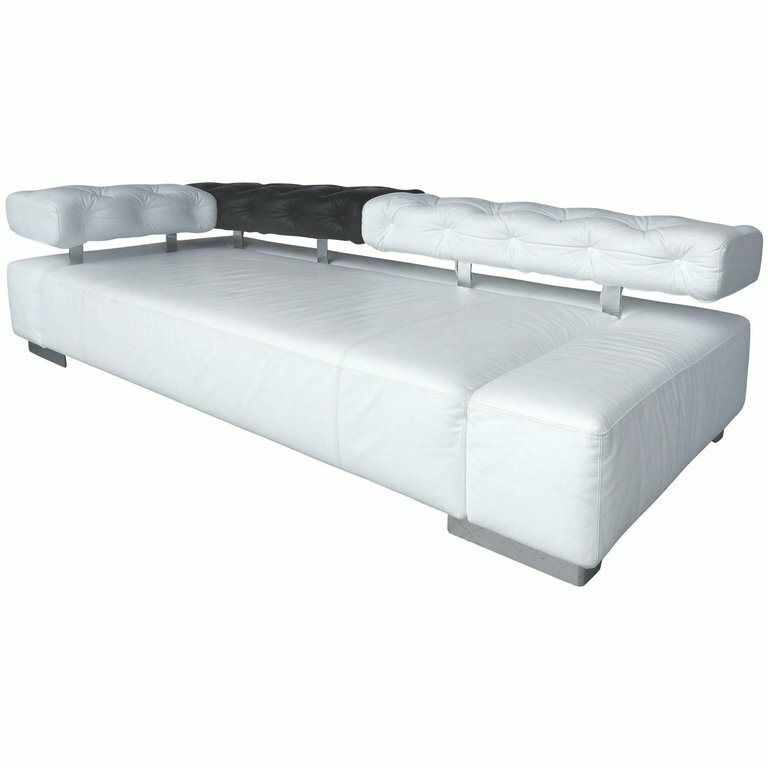 The sofa is supported by stainless steel block corner legs. 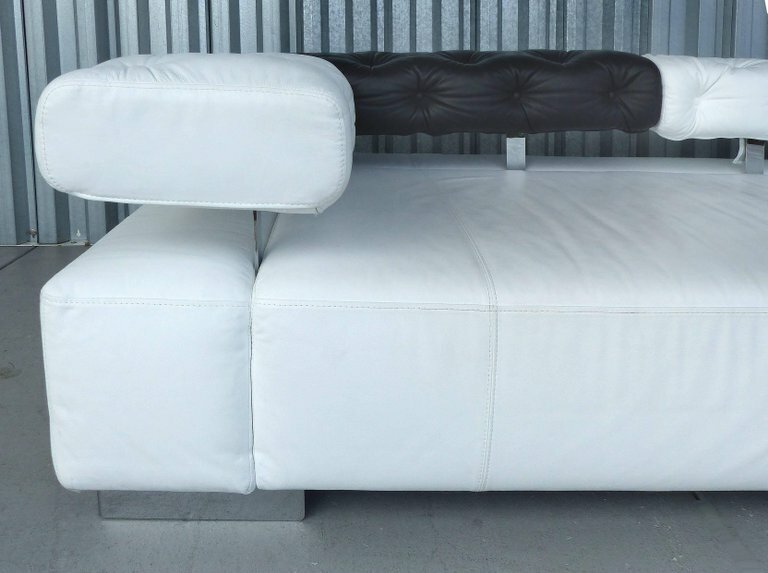 The sofa is in like new condition with the original tags still attached as it was never used.